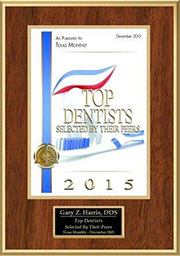 We strive for clinical, administrative, and technological excellence in every facet of our practice. It comes from years of experience in the profession and through the use of the latest advances in endodontic technology. 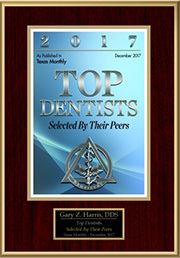 We take great pride in being a state of the art endodontic practice and are committed to caring for you, our patients, as we would our own family. 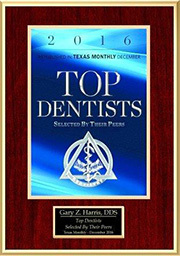 Dr. Harris proudly offers quality dentistry specializing in Microscopic Conventional and Surgical Endodontics. Endodontics is a microscopic science. In our practice, diagnostic and therapeutic treatments are performed using the Dental Operating Microsope to provide superior visualization inside the tooth. This technology increases our ability to provide more complete and conservative dental treatment. At magnifications of more than 20x and with optimal lighting, we are better able to see extra canal systems, unique anatomical complexities, and to identify fractures. Our office utilizes advanced digital imaging which reduces radiation exposure during dental x-rays. 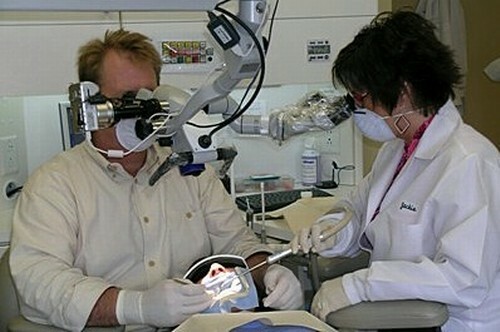 Because these images are digitized, the Endodontist uses computer software to amplify and manipulate images for better diagnostic purposes. We are also very proud to be utilizing 3-D volumetric imaging, also known as Cone Beam Computed Tomography (CBCT). This new technology allows complete 3D visualization of the teeth and supporting structures with ultra low radiation exposure. This breakthrough technology provides unprecedented radiographic views of the teeth and supporting structures. When appropriate, this technology can be an indispensable tool for proper diagnosis and treatment planning. This device also minimizes radiation exposure by having a very small area of focus to allow detailed visualization of the area of interest, without unnecessary exposure to surrounding tissues. Dr. Harris and his team, Jackie, Naomi, Larissa, Brandi, and Diana are well known in the Texoma region, North Texas and Southern Oklahoma. 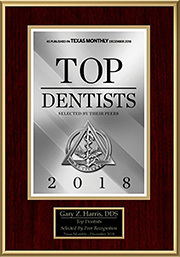 Why go to the Dallas area for a root canal when we have the best professional, courteous, and skillful root canal specialist right here in Sherman, TX? I was super pleased with the results of my complicated root canal completed by Dr. Harris on one of my front teeth. The procedure, at least for me, seemed complicated due to the fact that the drill angle entrance to the tooth was from the back and also sideways. I felt no pain before and after the procedure. 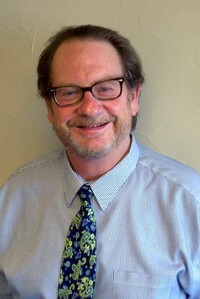 He is totally awesome and I recommend him highly to anyone scheduling a root canal procedure. 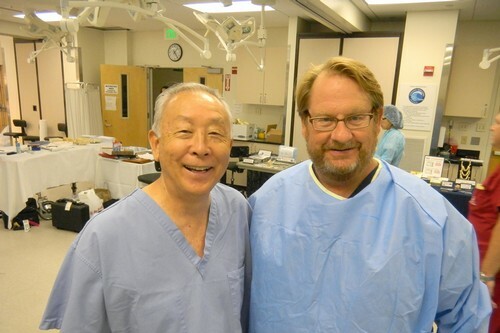 In addition, all members of his staff were also very courteous and helpful in both making appointments and in the assistance of the root canal operation. What is also astonishing is that unlike most dentist and doctors, he keeps tabs on you over the years and calls you in to exam the progress of the root canal. This is at his expense, so no charge to the patient. Unbelievable! Thanks so much for your dedication and skill, and in case I need another root canal (God forbid), I will most certainly schedule a session with you and your staff. I just wanted to thank you for taking such good care of me. You made 3 root canals just about as pleasant as they could possibly be. Most importantly, you helped me overcome my fear of not trusting a dentist. Thanks for everything. When I found out I needed a root canal, I cleared my calendar for that day and the next, expecting to have to lay around feeling lousy for a day or two. Not so! Absolutely no pain what so ever. Dr. Harris and his staff are awesome! I would recommend him to anyone! I was very secure in his judgment of my options, and felt like I had a new friend when I left! Kelly S.